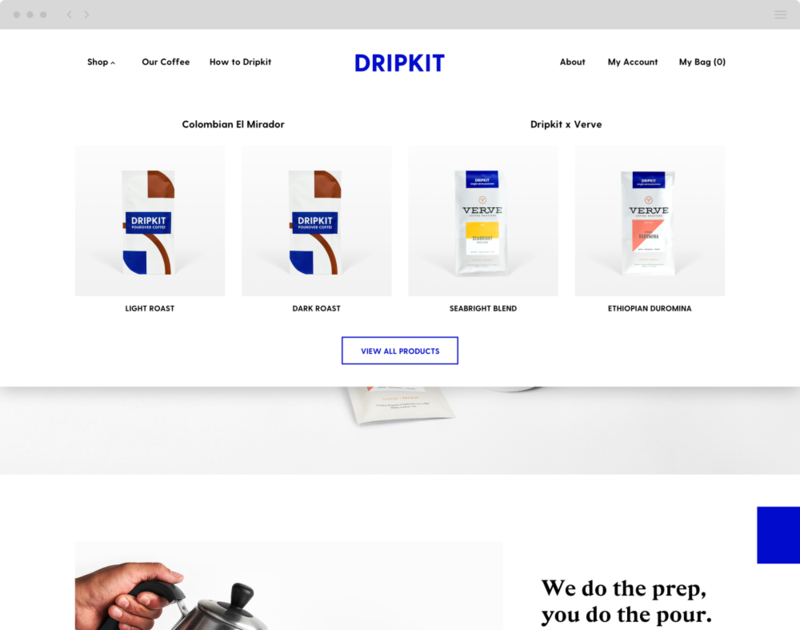 Dripkit is making instant coffee something to celebrate. While their team focuses on the roast, the prep, and packing love into every pourover packet, Alt & Dot ensures their customer’s buying experience, be it a one time or a subscription purchase, is as enjoyable as the first sip of the perfect cup of coffee. No barista required. In preparation for the launch of their first partnership, Dripkit x Verve, it became time to evolve the site. The initial single-product focus morphed into a site structure that supports Dripkit’s growing product catalog. Visual navigation, simple yet scalable collection pages, and a revamped homepage help the customer discover new roasts, while dynamic one-click upsells help Dripkit increase their average order value.